Style another device with "Big Rex"
iStyles iPod touch 1st Gen Skin design of Dinosaur, Extinction, Tyrannosaurus, Velociraptor, Tooth, Jaw, Organism, Mouth, Fictional character, Art with blue, green, yellow, orange, red colors. Model IPT-BIGREX. 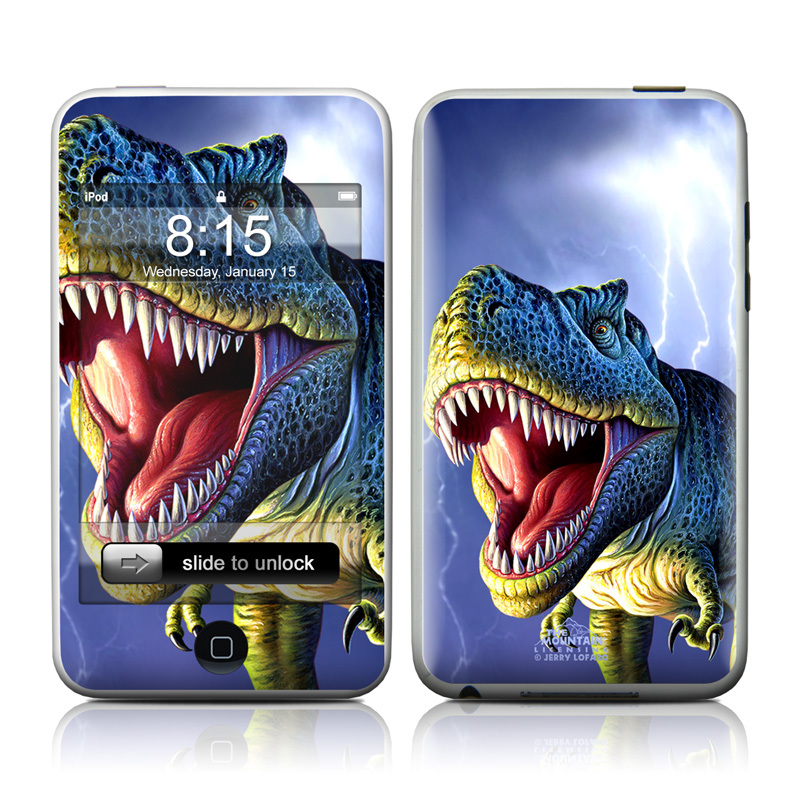 Added Big Rex iPod touch Skin to your shopping cart. View your Shopping Cart or Style Another Device with "Big Rex"